In the fall of 2011, I had the great privilege of filming my ninth fundraising special for PBS. The show will arrive this month on your local public television station is available to stream online, and I hope you’ll join me for an in-depth look at “Wishes Fulfilled: Mastering the Art of Manifesting.” Not only will you see me wearing those new shoes I mentioned here in December, but you’ll meet Anita Moorjani, the incredible young woman whose story of her near-death experience will turn your world around. Anita’s story, beautifully told in her new book Dying to Be Me, has taught me what death really means, and just how much lies beyond our sensory reality. I’ve been sharing Anita’s story with just about everyone who’ll listen since I first discovered it. One person I was most eager to share it with is my 95-year-old mother. And it’s been a wonderful source of comfort to a lady who has breakfast every morning with friends who might not still be around by dinner time. As Jesus said, “Be at peace.” We can trust that we come from God. Our reality is divine. This ability to feel and to trust in our divine connection is exactly the key to manifesting, your “wishes fulfilled.” We can develop this ability to trust despite the absence of physical evidence as perceived by our senses. No matter the circumstances or obstacles, draft your dream and the way can be cleared. Trust your divine connection, know that your soul has no limits and the universe responds and works with you to manifest that idea into a physical reality. It has always worked that way for me. Even as a child, and certainly against all odds given my background, I imagined myself speaking to large crowds. As a college student sitting in classrooms, I visualized myself working to transform lives, being uplifting and empowering to audiences around the world. All that time, I had nothing but a dream to work with—in foster homes, in the U.S. Navy, and in college. Feel the connection, focus on what you have to give, have faith in your dreams, and you will overcome all doubt and make your wishes reality. 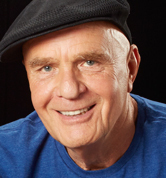 « Wayne Dyer Returns to PBS with Wishes Fulfilled! Dr. Dyer I want to thank you so much for “Wishes Fulfilled” I saw the PBS program in Feb and loved it. Just last month I saw the program again and knew I had to have the book. My therapist wanted to take me out to dinner but I wanted your book. I got your book, and a cheeseburger. Thank you for introducing me to a whole new way of thinking! 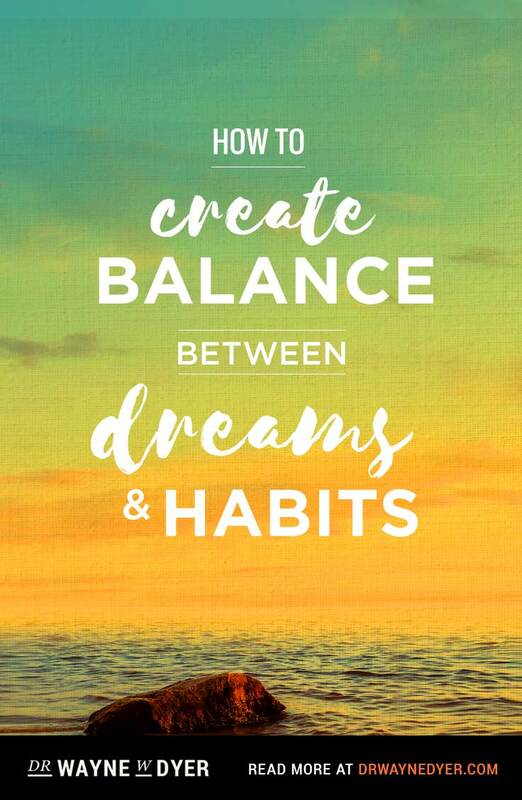 I have read many of your wonderful books that gave me the “frequency” that became a beacon of joy and clarity as I now inhale “Wishes Fulfilled”…It is literally changing my life. I am grateful for you and the authentic life that is now that which is my…I am. Last night, before I lay myself to sleep, I cleared my mind – imagining and feeling the sense of happiness I associated with my life’s best. Tonight at birthday celebration, two photos of me with family members revealed large “ORBS” emanating from my body. Visual photographuc proof of synchronicity perhaps; still amazing and mind-boggling. I Adore You!.. Thank You, with Love. I watched your PBS special the other night at 1:00 AM. Thank you, for reaffirming what I’ve thought and felt my entire life, at a time when self-doubt , ego, anger, and confusion were threatening to consume me. I’d written a much longer comment b4 i saw the 350 letter limit, lol. So much energy, and now all of it is positive. Thanks again! While reading Wishes Fulfilled, Wayne wrote that whatever you are placing in your imagination and feeling, will start to appear everywhere, for instance, in movies. I wasn’t familiar with the movie, The Ripple Effect, but decided to put it in. Imagine my shock, the movies spiritual nature and even ended with the words “I am that I am”. “I AM Wishes Fulled C.D. and Book are changing my life!! One quick question tho, how do we command and insist that our I AM Presence fulfill our “hearts desire” and “see” them already fulfilled at the same time? I know I can manifest my wishes with your help!! Thank You!! as a child i had a dream i thought came from God. Since that time I have hated myself and lived in fear of who I was a lair. A worthless lair created for hell. Now at 52 I am a failure and wish I had not been born so that I wouldnt have caused all the pain to those in my life. . Where do i look for the answer when i think it is God who rejected me? You are such an inspiration. You made me realize that we are all unique and we all have something special to offer this world!!! Nothing is happening in my life right now so it seems to me. I have become discouraged and have looked at my dream as if it has already passed me by. I have felt much resistance lately and really need to let this all go and start believing in myself again.Thank you Wayne for all that you do. 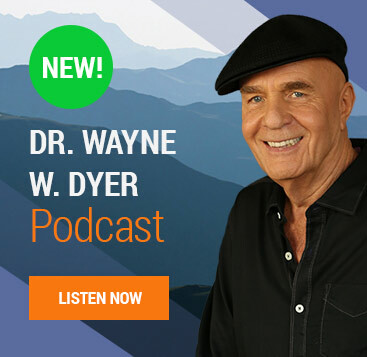 Dr. Wayne Dyer is illuminating! I know Dr. Wayne Dyer and Ilchi Lee will become vision partners in the near future! Your teachings have changed my life. I have an amazing story and wish to share it with those still searching. Please visit my new website. I hope to help others realize that we are the creators of our own reality and have the power to change our lives regardless of the circumstances. Thanks for all you have taught me. I AM THE LIVING POWER OF GOD. It gives me a wonderful feeling when I say this throughout the day. ” I AM with you all the way”. We have both arrived at the same “place of understanding” via different means and circumstances. I totally understand absolutely everything that you are and that you teach …and more. You are truly a blessing to humanity. Love Only and Always. Roxie. I am still reading through Anita’s book and got as far as Part III — It’s fabulous! And I am still reading through your book, Wishes Fulfilled, in the process of underlining and taking notes and then processing it into my brain to practice it. I absolutely love all of this! Thank you for everything. Amazing gift you have given all of us. Watch the PBS program and like all other publications and broadcasts you have done It was excellent. I always get right into what you say, then let it all slide, and there you are again to bring me back to practicing the message you have brought to us. Thank you! Thank you Wayne, for your sharing. It means everything to me. Here’s an Enormous Hug for You! Thank you for Being the messenger all these years, inspiring so many of us to remember our true Selves. Your courageous mission has assisted in changing my life and my husband’s life. I was listening to your “Change your thoughts” cd & my 12 year old son was playing on his laptop, fully immsersed. He would “hmmm”, but not look up. I was very excited when he said “I really like this guy, he has interesting things to say!”. Thank you for touching, teaching and leading so many people, including my son! I watch the Antiques When your program came on I watched it The Lord was behind my watching it. .You truly are a blessing. I want the gift you are providing, so I e-mailed the Network and asked if I could donate the $275 and pay monthly for the big banana. They said Yes. I received my pledge form, it will go with tomorrow’s mail. Go to balboapress.com, which is a division of Hay House. They will be able to help you to publish your book. Extraordinary things have happened to me since our beloved son died. Kundalini and ….orbs. Just opened your Wishes book & found….orbs. My website (my name dot com) shows my orbs. Klaus Heinemann is a friend. My YouTube: Orbs, Lightwaves, and Cosmic Consciousness. Thank you! I have been working on a book about my life beginning in my childhood in Michigan’s Upper Peninsula born into an alcoholic dysfunctional family to now. 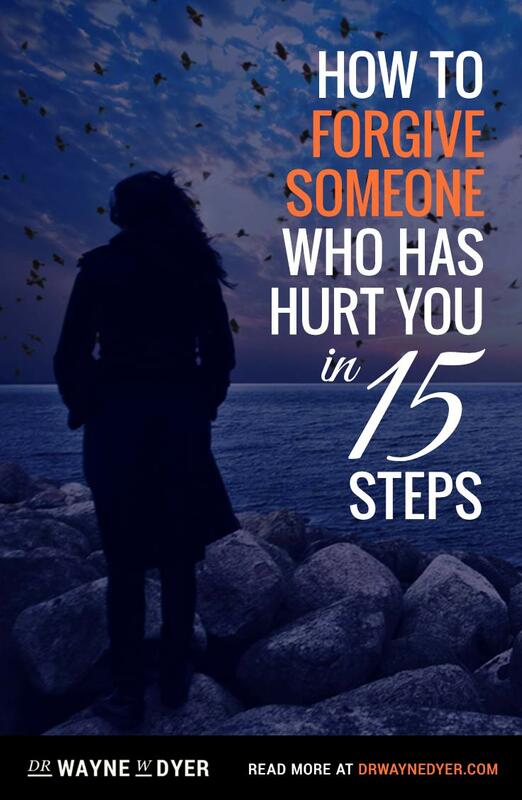 My hope is that my story would be of help to at least one other person who is struggling with addiction. I would be most grateful if you could offer advice on how to get published? You were right all along, you are a “scurvy elephant!” , and don’t ever change. Dr.wayne, I almost loss my job again and with it my Wife who decided she could no longer stand beside me. I am 58 and it is very hard to regain employment at that age.That night I saw your PBS show and prayed for a blessing. The next day I was offered work share and took it. Thank you Doc, and blessings to God. 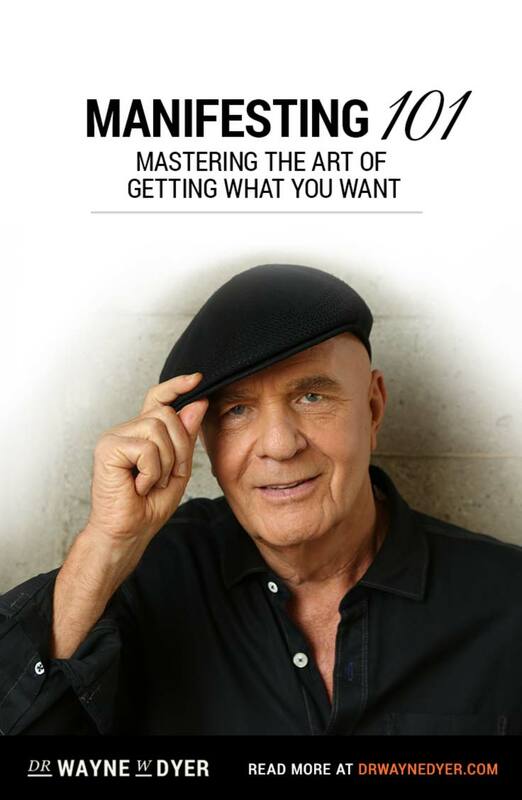 Another great book, Dr. Waye Dyer! I’m looking forward to this Saturday’s PBS airing of “Wihes Fulfilled!” Thanks again. Your Wishes Fulfilled PBS presentation inspired me in so many deep ways. The I AM THAT I AM has been inspiring me to share my I AM expreiences and my NDE journey. Thank Dr. Dyer for the part of God you are. Over the past two evenings, I’ve experienced an epithany by watching your PBS program. Experienced eight hours of sleep last night after I AM exercise before falling asleep. Thank you! Thank you,thank you,for your love,because you bring the love from God,to everyone,I am from Colombia,and I feel truly blessing to be here in U.S reading your books,and your blogs.God bless you,Dr.Wayne. Since I first read Your Erroneous Zones, you have been my main spiritual inspiration. I wish I could briefly explain how much every one of your books has changed my thoughts and therefore, my life.I am thrilled to hear of your miraculous healing! 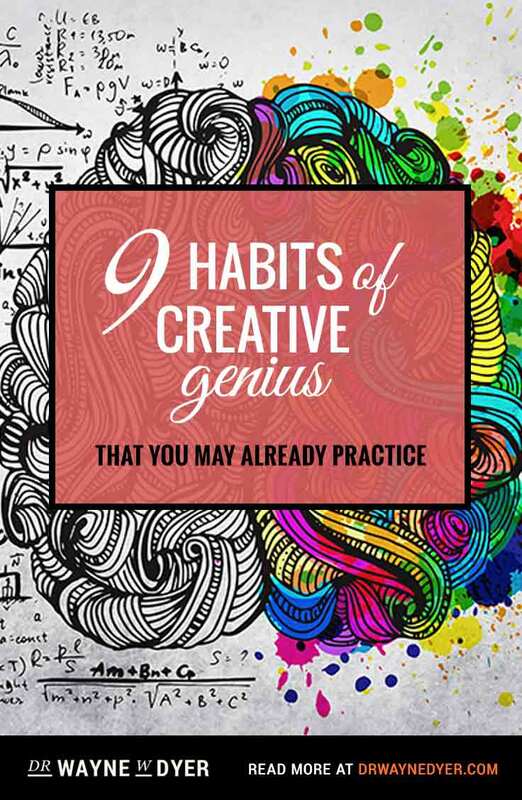 Continue to inspire us all with your wisdom, your writing and teaching in perfect health! There is only one God.One Almighty God.And he has a name,.Everything and everyone has a name.His name is Jehovah,King of all Knigs Read Book of daniels(about nebakanezza).Read the book of John.Jesus states very clearly he has a father who sent him forth.He has a father who gave him his words.Jesus is the son.You should know that by now my friend. I want to thank you for your words of inspiration and hope. I’ve encountered challenging times medically but with your help have kept a positive attitude and trust that “everything is as it should be”. May you be blessed as you have blessed others. Love and energy to you. Looking forward to the changes in our lives as we go through the 2nd unemployment in 4 years. Thank you for revigorating my soul and spirit, and for helping me not slip off the road to my destiny of educating our children. Just when I needed it, your words of clarity and purposefulness found me and lead me toward that other street. I AM again back on track! Hello Wayne, I send you love. Thank you for the amazing broadcast on PBS. Your words really struck a chord with me. Namaste. Dear Wayne, words cannot express how much my life and the lives of those around me have changed because of the Powerful Influence your work has had on my life.I am looking forward to seeing your PBS Special and Reading Wishes Fulfilled…. Thank you for the incouragement in such trying times, to know this Divine connection is real and can be experience by all fills me with GREAT HOPE for coming days. Hearing the news of your returned wellness reminded me of an amazing “healing” story from Norman Cousins which is documented in his book Anatomy of an Illness. He remained positive throughout, believed in his faith and used laughter as a healing tool. I admire and am inspired by your teachings. Thank you for sharing your life journey. I’m 35 yrs old am pregnant with my 3rd child & was just diagnosed with breast cancer.I decided against conventional treatment & am working on healing myself. I am watching PBS now & I want you to know how badly I needed to hear your story and message. Thank you for being there for me & reminding me of my power & giving me the encouragement I need. I am looking forward to watching your PBS show this coming week. A wish that I am focusing on is spiritual wealth: to be more loving, more humble, more giving……… and to be in tune with my inner divine self. I enjoy your blogs Wayne. If we could always remember our connection to our Source, we would never have reason to fear or worry. Thank you, Dr. Dyer, for reminding us of this. I am looking forward to seeing you again next month in Atlanta. Namaste! Thank you Doctor. What I love about this article is how you said that all you had was a dream. This came at the perfect time. It’s amazing how God communicates. Your teachings have been a part of my life since I read The Power of Intention many years ago and I have undergone significant transformations since connecting to my divine source. Thank you for being an instrument of God and I look forward to seeing you in person in Vancouver. God Bless. Your writing & now blog messages continue to bless me; whether I happen to be on the mountain tops or trailblazing through contrast and sorting out clarity. It’s your methodical, sharing of experiences could only come from your heart that allow me over the years to look at the Divine & see what becomes my truth(s). In Summer of 1982 a psychic reader told us to look for a house with a mountain view. There were no mountains where we lived, but events took us away in a few months and we found the house. We were driving and a hard rain suddenly stopped. Very expensive, but also not for sale. I visualized per Neville, nightly. By April of 1983 we owned the house. Dreaming and visualizing are the greatest inspiration you’ve given me. Thank you.